Measuring more than 300 000 light-years across, three times the diameter of the Milky Way, this colourful bubble of ionised gas is the biggest to ever have been discovered. 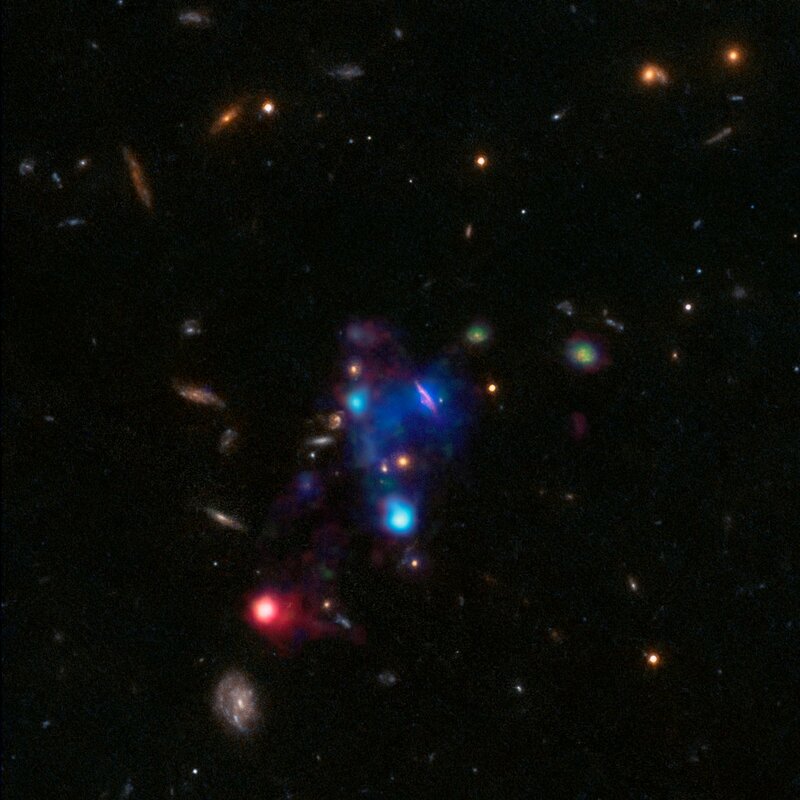 The enormous bubble contains 10 individual galaxies and is situated in a particularly dense region of a galaxy group called COSMOS-Gr30, 6.5 billion light-years away from Earth. 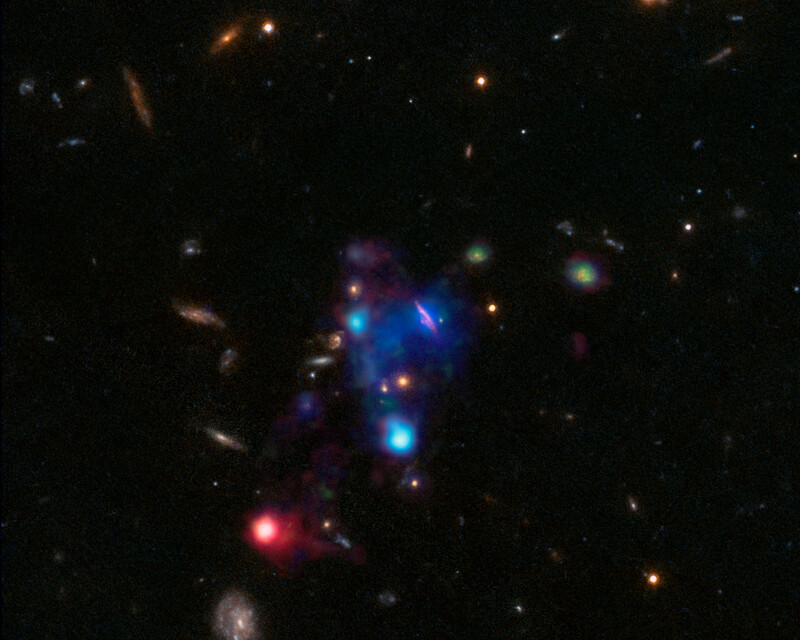 Targeted due to its high density of galaxies, this group is extremely varied — some galaxies are actively forming stars while others are passive; some are bright while others are dim; some are massive and others are tiny. 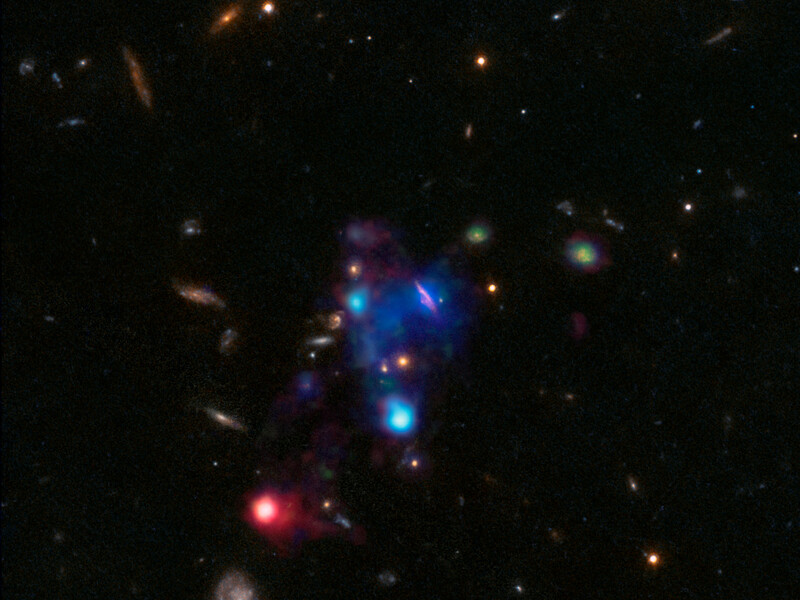 MUSE’s powerful eye on the sky has allowed astronomers to understand that this large pocket of gas is not pristine, but was expelled from galaxies either during violent interactions or by superwinds driven by active black holes and supernovae. They also studied how this magnificent bubble became ionised. 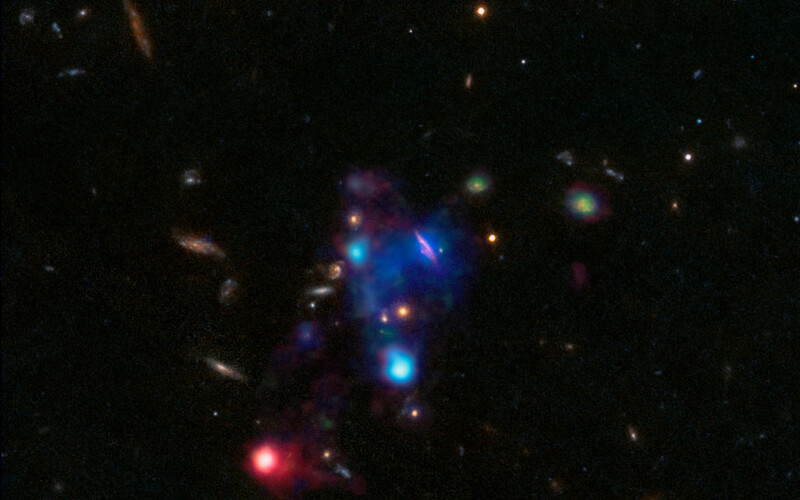 It is believed that the gas in the upper area (shown in blue) was ionised by intense electromagnetic radiation from newborn stars and shock waves stemming from galactic activity. Astronomers suspect that the violent red active galactic nucleus towards the lower left of the image could have ripped the electrons from their atoms. Position (Dec): 2° 3' 50.22"